Silver Rune Necklace For Women : LOVE2HAVE in the UK! 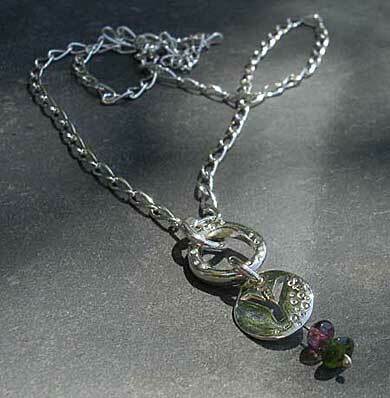 A silver Rune necklace for women. Here we have another option for you in combination necklaces to match the Runic Celtic bracelet. 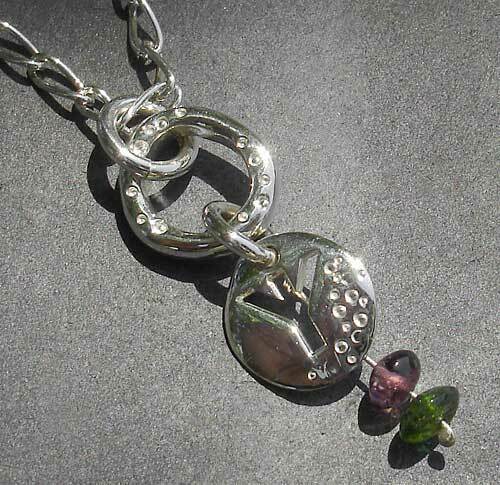 This time it comes in the form of a pendant arrangement on a silver chain. The pendant consists mainly of silver pieces, primarily being a roundel and Runic symbol lozenge underneath, that feature on the bracelet too. Again it is modern Celtic jewellery inspired by the traditional Runic language. The inspiration for this piece comes from the ancient Celtic coastlines from the Northern Isles of Scotland. 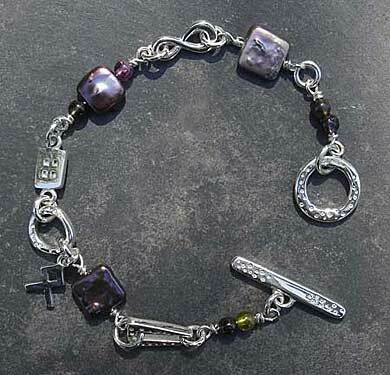 The beads featured are tourmaline beads. They both have lovely rich tones as pictured and when combined with the silver detailing look beautiful. The silver comes in a polished finish and the chain measures about 16 inches long so, therefore, is designed to fit a ladies neck and the pendant has a total drop height of 3cm.